We are a 4-men team, working on a game called METAPHOBIA. The game concept and art is finished and we started to code. 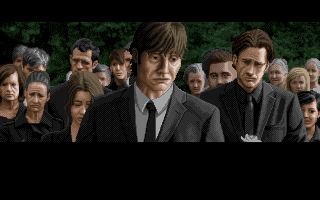 The game is a mystery/crimi/thriller. 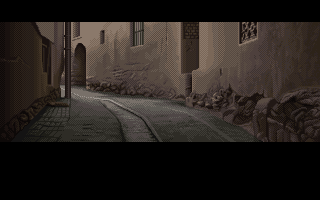 Mood and storytelling is inspired by Gabriel Knight 1. To avoid spoilers, we will give you more informations in PM. The game will be a freeware, so please count with that. We are looking for a Soundeffect-Artist to help us. Here are a few pictures of our game. Contact me either via email tolgaocek@yahoo.de or in PM on AGS forum. What kind effects are you looking for? Are you going down the silent hill kind of ambient, yet creepy music? or are you just needing doors creaking, metallic clicks and whatnot? 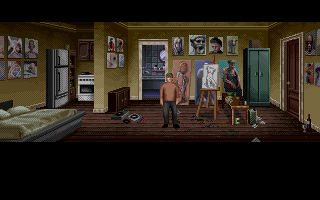 I checked out gabriel knight its got a bit of everything.